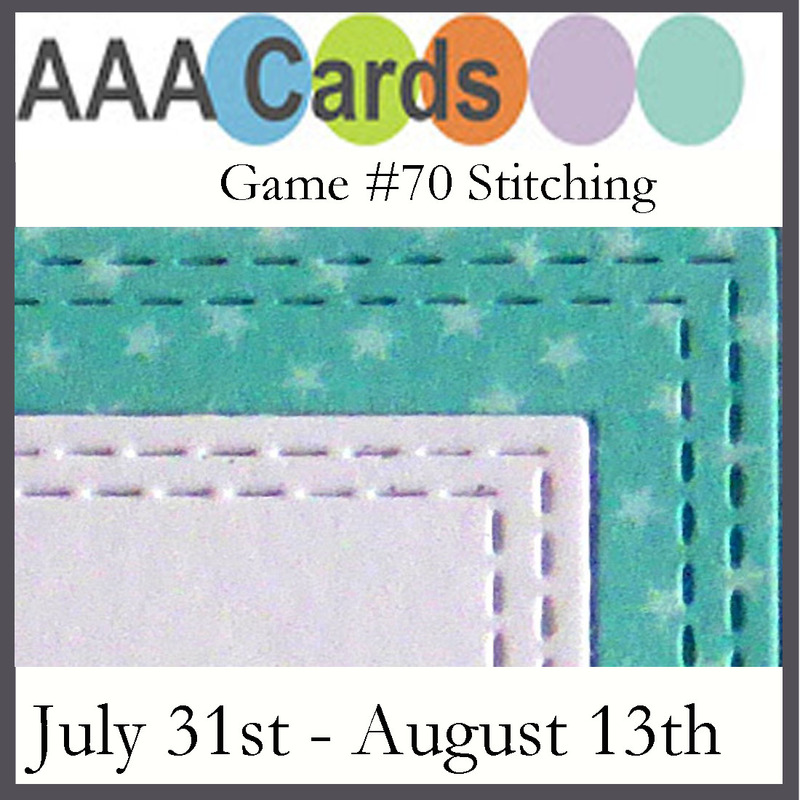 today I am playing along at AAA Card Challenge and this week's theme is Stitching. This can be interpreted in so many ways - from using a sewing machine on your project to stitch something on, hand stitching or in my case using a die cut with stitching. I love these stamps and dies. I won them but have not used them yet. 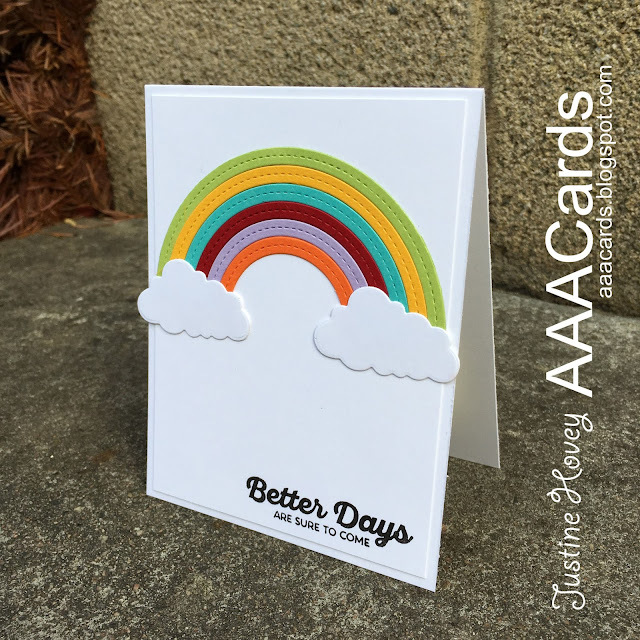 Your card is very inspiring. 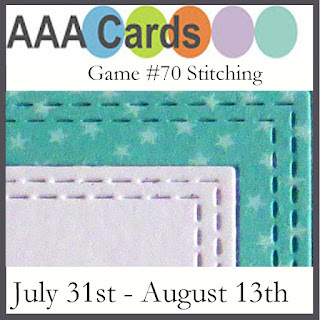 Wonderful CAS, and great for our stitching challenge. I love the bright colours of the rainbow. Such a wonderful card!